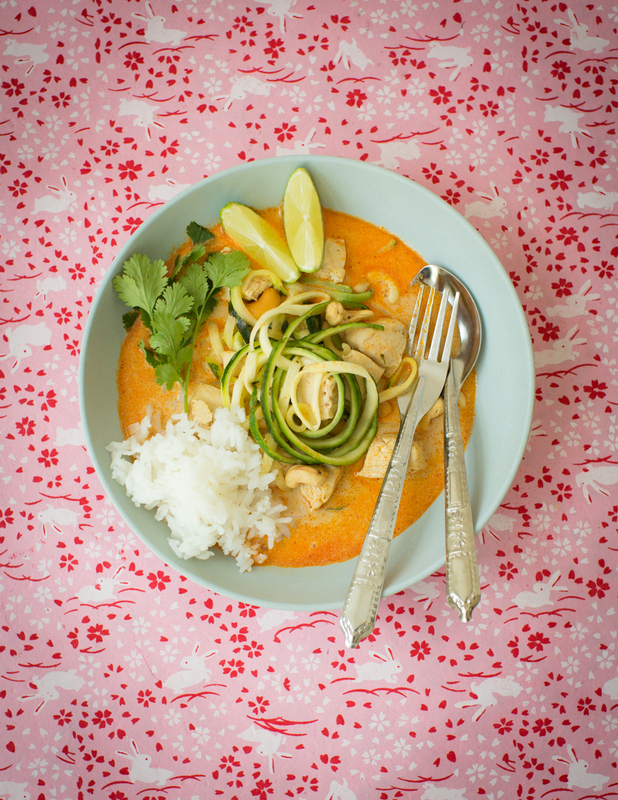 This super simple Thai curry is so quick and easy to rustle up at the end of a long day. 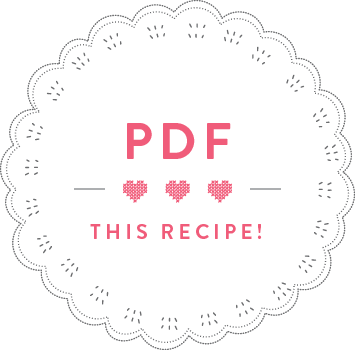 I’ve added courgette noodles for a bit of fun – if you don’t happen to have a spiralizer then just dice the courgette, it will taste just as good! Heat the sunflower oil in a saucepan and fry the curry paste for two minutes until it becomes fragrant. Add the coconut milk, chicken stock and kaffir lime leaves (if using) and bring to the boil. Meanwhile, cut the chicken into bitesized chunks. Add to the boiling coconut milk, reduce the heat and simmer for 8 minutes. 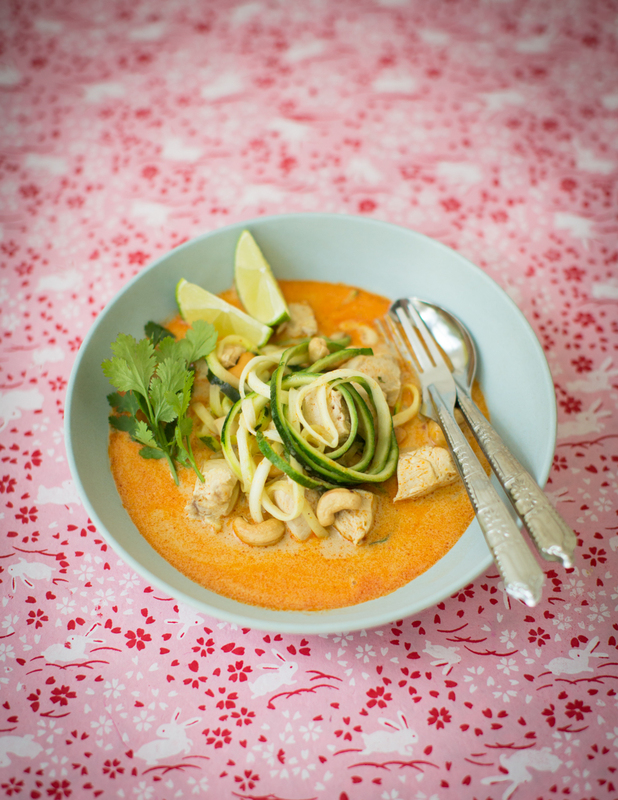 While the chicken is simmering, make the courgette noodles by using a spiralizer. If you don’t have a spiralizer, either use a mandolin and cut the courgette into long matchsticks, or simply cut the courgette into 1cm cubes. After 8 minutes, add the courgettes and the cashews to the curry. Bring back to the boil and, once boiling, simmer for another 2 minutes until the courgette is soft. Adjust the seasoning with Thai fish sauce and lime juice. Distribute the curry between two bowls and sprinkle each portion with coriander. Serve with a side of Thai Jasmine rice. *You can use any Thai curry paste you want. Green or red curry paste are the most available ones. Adjust the amount of curry paste dependent on how spicy your curry paste is. I test it by tasting a tiny amount of curry paste straight from the jar, and only using 1 tbsp if it’s a spicy one. You can always add more curry paste once the coconut milk has been added and you can adjust the heat- and flavour-level.